Made from the finest Italian soft calfskin leather. 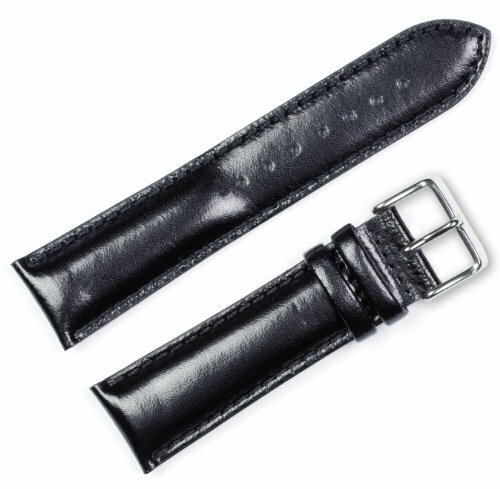 Our Calfskin Leather Watch Bands are a timeless luxury that will last and last. Suitable for the fashionably elegant and for classic watches and time pieces. Special details include folded and stitched keepers, velvety soft nubuck lining, and heavy padding for chronograph style watches. M7 1/2" long. Standard buckle color is silver. Gold color buckle can be requested through e-mail color choice - reference your order number.